Resize photos for better viewing or storaging. Create thumbnails of your photos. 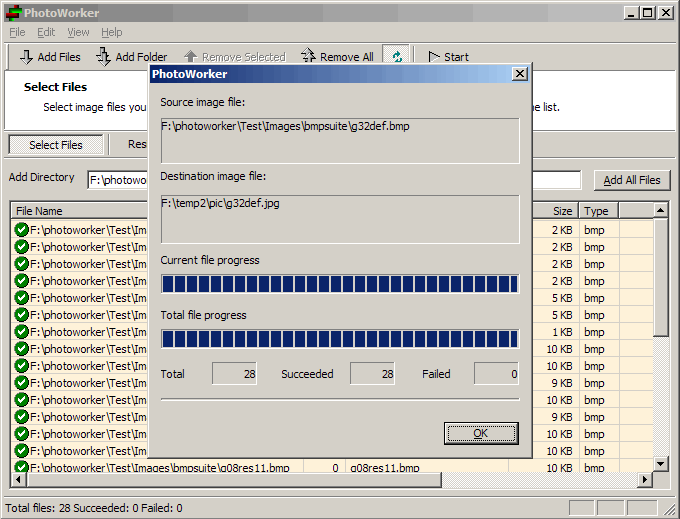 Automate image conversions by using it in command line. All these operations are batch based thus it can save you tremendous time from tedious manual conversions. 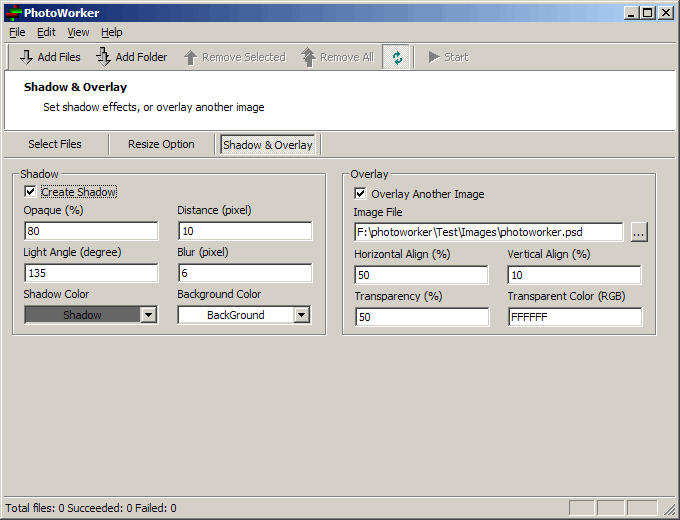 PhotoWorker is a shareware with 30-day free trial. After the trial expires, you need to purchase a license and register it online. Click here to Buy. If you like photoworker, please leave your comment at: Download.com. 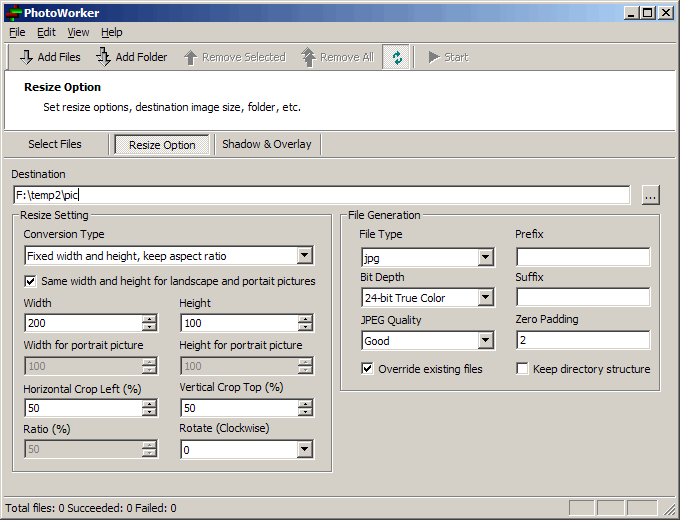 Click "Add Files" or "Add Folder" to add image files to the conversion list. 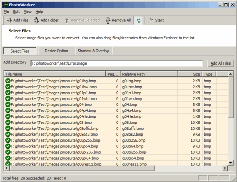 Or drag/drop files/folders from Windows explorer to the list. 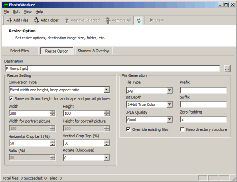 Set the conversion type, destination image type and resize options from the config pane. 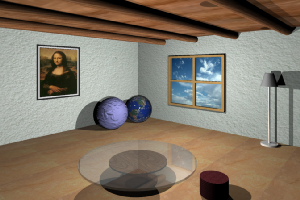 If you are making web pages, you can add shadow to the picture, or you can overlay another watermark image. Click "Start" button in the tool bar. 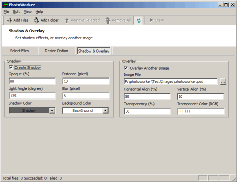 A dialog will show up and convert all files in the conversion list. 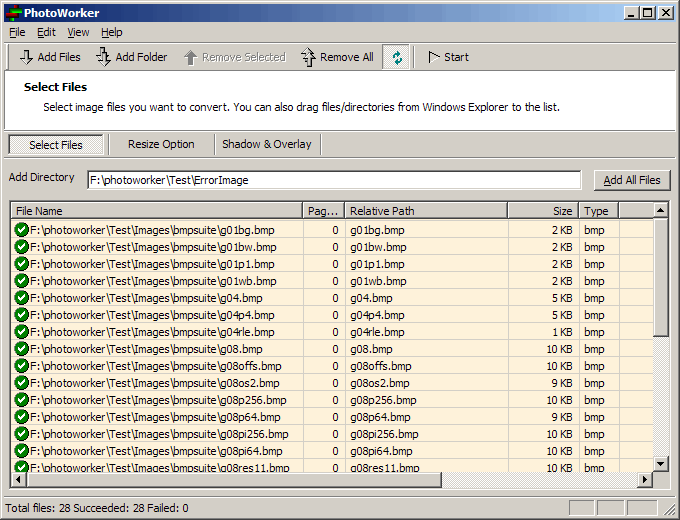 In the end, you can view the status of each file in the conversion list.